There has been quite a bit of public discussion and debate about veterinary homeopathy this year. This is due in large part to the Connecticut Veterinary Medical Association (CVMA) resolution presented to the American Veterinary Medical Association (AVMA) House of Delegates identifying homeopathy as an ineffective and unscientific therapy. Though the resolution was ultimately relegated to “consideration” by a committee unlikely to act on it in any substantive way, it did expose the overwhelming evidence that homeopathy is nothing more than a placebo. The resolution also stimulated a vigorous, often highly emotional response from supporters of homeopathy, and several complex but ultimately unconvincing attempts to present homeopathy as scientifically valid and legitimate. A key organization involved in promoting and defending homeopathy is the Academy of Veterinary Homeopathy (AVH). 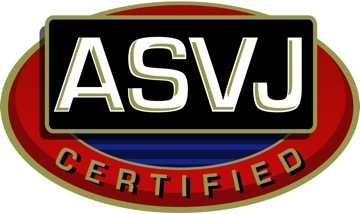 I have written about them several times in the past, including a detailed look at their recommended Standards of Practice and coverage of the AVH lawsuit against the American Association of Veterinary State Boards (AAVSB) attempting to force recognition of their continuing education courses when the AAVSB ruled they did not meet acceptable scientific standards. The most recent issue of the Journal of the Academy of Veterinary Homeopathy provides some useful insights into how the members of this organization think and how they plan to continue promoting this discredited therapeutic approach. As I have discussed before, proponents of alternative therapies generally, including homeopaths, tend to rely heavily on case reports as supporting evidence. Case reports are simply structure, published anecdotes, and while they are useful for suggesting hypotheses to test, they prove absolutely nothing. They are no more reliable than any other medical miracle story. Yet the AVH goes so far as to call their annual meeting “The AVH Annual Case Conference,” and the journal reports almost exclusively anecdotes and no formal, controlled studies. Though there are controlled clinical trials done to investigate homeopathy (which, when looked at carefully, do not support any real effects), homeopaths still rely on uncontrolled individual observation as the core type of evidence both to validate specific homeopathic interventions and to guide the development of the discipline. This is fundamentally inconsistent with scientific and evidence-based medicine, which recognizes the low reliability and high risk of bias associated with such evidence. There is no objectively confirmed definitive diagnosis. Conventional therapy (whether appropriate or inappropriate) is identified as having failed. Conventional medical practices are frequently implied to have caused or worsened the problem. Homeopathy is claimed, or implied to have cured the problem. All of these cases are therefore emotionally compelling arguments against conventional medicine and for homeopathy which, unfortunately, include absolutely no control for bias or error and actually prove nothing. This is marketing, or perhaps more accurately proselytizing, masquerading as science. a three-year-old miniature stallion…presented with acute and persistent seizure activity which occurred a week after a rabies vaccination coupled with a very traumatic tooth floating experience. The complementing video clips clearly demonstrated the symptoms, patient care and the progression to full recovery! a two-year FS, mixed breed dog presented after an array of suppressive and intensive therapy (including a ligated carotid artery) for a chronic purulent and bloody nasal discharge. Once every(!) diagnostic and therapeutic technique had been tried, [the owner] turned to homeopathy. [The homeopath], using Aurum, guided [the pet] and her guardian through the re-emergence and eventual clearing of suppressed skin, emotional, digestive and nasal symptoms. one of her patients was sent home to die in an anemic almost comatose state after diagnosis with inoperable bleeding tumors. Her courage and patience in prescribing assisted this very fragile individual to make what so far is a complete and miraculous recovery. 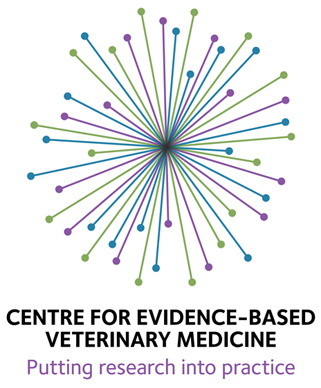 Apart from a misleading emphasis on uncontrolled anecdotes, the AVH journal illustrates the inconsistent attitude of the veterinary homeopathy community towards science and the disingenuous use of scientific research as a marketing tool. Dr. Shelley Epstein is one of the most prominent homeopaths claiming that homeopathy is a proven and scientifically legitimate field. I have responded to her arguments in detail before (The Science of Homeopathy?, The Evidence for Homeopathy-A Close Look). Essentially, she simultaneously claims that randomized clinical trials support the efficacy of homeopathy (referring primarily to poor quality positive trials with high risk of bias and completely ignoring better quality negative trials and the systematic reviews of the literature which show no convincing evidence of a clinically measurable effect beyond placebo) and argues that typical RCT design is inappropriate to apply to “individualized” homeopathic therapy. We have moved well beyond whether homeopathy can be measured, into being able to measure nanoparticle quality control issues among the starting homeopathic products; measure specific frequency differences between remedies and their potencies; measure variation in particle and aggregate size and shape; and measure elemental composition of the homeopathic particles. Studies are finding out how nanoparticles remain dispersed in solution via the hypotheses that trituration generates nanofraction formation, lactose acts as stabilizer to prevent aggregation, dilution allows larger raw particles to settle out and nano-clusters to disperse freely in the medium. Other research involves remedies as nanomedicines and how their dissolved silicate structures carry remedy information into the body. I have discussed the subject of “nanoparticles” as a validation of homeopathy elsewhere. I have also previously addresses the subject of “hormesis,” which Dr. Epstein also attempts to stretch from a narrow scientific phenomenon having nothing to do with homeopathy into some kind of scientific validation of homeopathic principles. Such misuse of nanoparticle physics, quantum physics, and other obscure but legitimate scientific fields is a hallmark of pseudoscientific rationalizations of alternative therapies. However, even more dramatic examples of pseudoscience taken seriously are available in the AVH journal. Let’s look at Aphorism11 of the Organon:”…initially only the spirit-like, autonomic life force…is mistuned… Only the life principle…can induce in the organism the irregular functions that we call disease.” We know this, but it is still easy to get lost in the perceptions of material agents as causes of disease. When we use vision in homeopathy, it is not to observe the causal agent but to perceive the effects of this disturbance of the life force….Homeopathy is right in the mix with a growing evidence base to show that homeopathic preparations can affect gene expression. While gene expression is in the physical realm, it can be altered via an energetic medicine. continues to stretch our perceptions of time and reality. Thought provoking indeed was the discussion of multiple personalities. Some with individual disease processes were definitely confounding. In one personality there would be a documented severe eye injury which would completely and instantly disappear as he shifted to his other personality….Some multiples changed eye colors between the personalities. holistic or CAVM or integrative veterinary medicine is taking a more prominent role. With that increased visibility and scrutiny comes the need to act and practice responsibly. We have often been viewed as the insurgents in veterinary medicine and…it behooves us to present ourselves in a more conventionally professional way. I think we need to be aware that every column we write, every blog we post or forum letter we write can have a far-reaching impact. This is doubly true if we are venting or criticizing colleagues, organizations or disciplines. To be fair, I too have sometimes been guilty of letting my emotions get the better of me and expressing my objections to specific practices in an excessively personal and inflammatory way, especially in the early days of blogging about the subject. However, I think it is a greater problem that healthy debate about the merits of alternative therapies is often impossible due to the passionate hostility that often greets any criticism of such approaches. It would be better for our profession if we could keep our disagreements civil and focused on ideas and evidence. The AVH has hired a public relations representative. Peter Gold has experience working with the National Center for Homeopathy (NCH) and other organizations. Our goals are to increase awareness about homeopathy, build membership and raise funds for AVH.Your contributions (case testimonials, anecdotes, homeopathy tips etc.) are also needed…. AVH is blessed to have marketing director Peter Gold, who has been very helpful promoting AVH and homeopathy. His latest accomplishment was establishing a connection with Dogs Naturally magazine. I’d like to give everyone a gentle push to submit your success stories to Peter and the magazine. This is an excellent opportunity to get the word out about homeopathy. There was speculation that perhaps the AVH’s stand against AAVSB may have been the instigation for much of the current interest in homeopathy, reorganization of the holistic review committee of RACE and the impetus for other similar suits from holistic veterinary organizations.it was well worth the fight and achieved some worthy goals. It is telling that the AVH has a legal advisor who has helped them pursue a 4-year lawsuit and now a marketing and public relations advisor, both employed to promote homeopathy by means other than rigorous scientific research. This illustrates the purpose of this organization, which is to function as an advocacy and marketing agency and a support group for practitioners of homeopathy, not as a scientific “academy” investigating homeopathy in an objective way. Homeopathy is a faith-based system in which scientific evidence is never a reason to question or reject existing dogma. The selective use of research findings by the AVH is not about discovering the truth but about developing marketing tools to create the impression of scientific validity. The selective and biased use of scientific research to promote an unshakable belief rather than to identify effective and ineffective therapies. The AVH purports to represent the mainstream beliefs and attitudes of veterinary homeopaths. If this is true, then there is no better illustration of why homeopathy as a discipline is inconsistent with science and should not be viewed as a legitimate veterinary therapy. The scientific evidence is clear and consistent that homeopathy is nothing more than a placebo, and all the litigation and public relations spin the AVH generates can do nothing to alter this. Just reading your article here and only the first few paragraphs of the pdf file, my head is spinning. No surprise there, but with each new finding of their activities, it defies belief just how low they will stoop to further their agenda. My first reaction was to call them out for what they are – liars. To say it more gently, it’s Homeopaths Gone Wild. Will Falconer, DVM and homeopath posted the following comment elsewhere on 6/2/13. I have his permission to post it here. I think the heart of it lies in our not being able to understand HOW homeopathy works. We just don’t. It doesn’t follow the laws of Newtonian physics, that’s a given. When people can’t understand how something CAN work, it’s easier to assume that it doesn’t, and write others off as delusional who know differently. And yet it works. On animals. On children. Neither of which know how to put on a placebo response. And it works in adults, too of course, independent of their “believing” that it will work. In homeopathic veterinary practice, I see serious illnesses that turn around with the careful application of homeopathic medicine, following the guidelines of the masters of old. These animals were not getting well with all that conventional medicine had for them, and their owners often spent thousands of dollars trying. While treating chronic illness of a serious nature is not easy with homeopathy, I can often get results in a positive, curative direction pretty early on in the course of treatment. And the animals are “harsh critics” if you will — if they don’t receive a correct remedy prescription, they just don’t get better. And, it’s back to the drawing board, trying to analyze in a new way, looking for a better remedy. When a proper remedy is found, the results in the sick animals are profound. Not only does the “chief complaint” get significantly better, but other positive effects come to light. The dog who came in with itchy, allergic skin, may also respond positively in becoming less aggressive, more social, as the skin disease improves. The teeth often get cleaner, the breath improves, the joints get more limber. When we see several different organ systems all improving at the same time, we’re confident the remedy made a deep, curative difference in the patient. implied that the overall positive result of this meta-analysis is not supported by a critical analysis of the data. placebo or other control interventions. Similarly, there was no homeopathic remedy that was demonstrated to yield clinical effects that are convincingly different from placebo. The problem here is that you are saying, in essence, it doesn’t matter if there is proof of how homeopathy works or even proof that it does so long as some people believe it works based on their personal experience. But there is no therapy ever tried that hasn’t looked like it worked. Either you believe science is the best way to decide what works or what doesn’t or you give up entirely on distinguishing between true and false and let everyone use whatever methods they have personal faith in. That leads us back to the prescientific age of medicine in which half of us didn’t leave to see adulthood and most died before 50 years of age. Bloodletting was wildly popular among millions of people for thousands of years, and it did far more harm than good. Anecdotes are not data and belief is not evidence. Either something can be demonstrated to be effective through proper scientific investigation or it can’t. If it can’t, then continuing to believe in it takes us out of the realm of medicine and into the domain of religion and faith healing. And while you are of course entitled to believe in whatever you wish, our clients have come to expect that we base our therapies on science rather than personal faith, and history has shown that doing so works much better for our patients. Here is a bit more discussion of why anecdotes prove nothing: Medical Miracles-Should We Believe? Background : Toxicodendron pubescens P. Mill (Anacardiaceae) known in homeopathy as Rhus toxicodendron (Rhus tox) is used as an anti-inflammatory medicine in homeopathic practice. In this study, Rhus tox in its crude form and homeopathic dilutions (3cH, 6cH, 30cH, 200cH) was evaluated for effects on Complete Freund’s Adjuvant (CFA) induced arthritis in rats. Method: We assessed the severity of arthritis through observations including inflammatory lesions, body and organ weight and hematological parameters including C-reactive protein (CRP). Blinded radiological analysis of the affected joints and pain intensity determination was also carried out. Results: Rhus tox protected rats from CFA-induced inflammatory lesions, body weight changes and hematological alterations. Rhus tox protected against radiological joint alterations due to arthritis. Arthritic pain scores were also favorably affected by Rhus tox. All the dilutions of Rhus tox including crude form showed anti-arthritic activity. The maximum protective effect was evident in the crude form at 10 mg/kg/day, by mouth. Conclusion: This study supports claims in the homeopathic literature on the role of Rhus tox and its ultra dilutions in the treatment of arthritis and associated pain. Further study is needed to explain this anti-arthritic effect of Rhus tox. 1. Absent or inadequate control for confounding, bias, chance, or other sources of error. 3. Do not actually directly address the question of whether or not ultadilute homeopathic remedies have clinically menaingful biological effects. In particular, the in vitro studies often follow the path blazed by Benveniste: A study looks promising and then the reuslts either disappear when appropriate controls are employed or they cannot be replicated by anyone other than the opriginal investigator. Such single studies cannot balance the overwhelming body of negative evidence already available. According to Sandra A. Hermann’s blog, neither she nor any homeopath is required to prove homeopathy works. Rather, skeptics should be required to prove homeopathy does not work. I also was unaware that Wiki is controlled by Big Pharma. None of your links led to any actual evidence, just other homeopaths claiming that homeopathy works. If you want to discuss the actual scientific evidence, you are welcome to do so, but link spam to homeopathy propoganda isn’t useful. Just doing a slight bit of digging, it would appear neither Malik nor Hermann are capable of engaging in rational discussion, but are quite skilled in link spamming on forums, blogs and media articles. It seems that the links I posted above did not get posted. So, I am posting again for your readers. You are welcome to post actual information or links to published scientific articles. However, posting multiple links to other people’s anecdotes and claims without any actual evidence is just a form of link spam, and those links will not be posted. Will this it pass your censorship? Indiana, a Lucky Dog an article by Shelly Epstein, a veterinarian who combines homeopathy with her practice. Source for entire article with before and after photos is provided. Nope. Homeopathy and other alternative medicine propoganda web sites don’t count. Dr. Epstein has published a case report on this subject in a veterinary journal, and while it still proves nothing, that is the only link that is appropriate. Epstein, S. Hardy, R. Clinical Resolution of Nasal Aspergillosis Following Therapy with a Homeopathic Remedy in a Dog. Journal American Animal hospital Association 2011;47:e110-e115. And here’s my analysis: Homeopathy for Nasal Fungal Infections in Dogs?